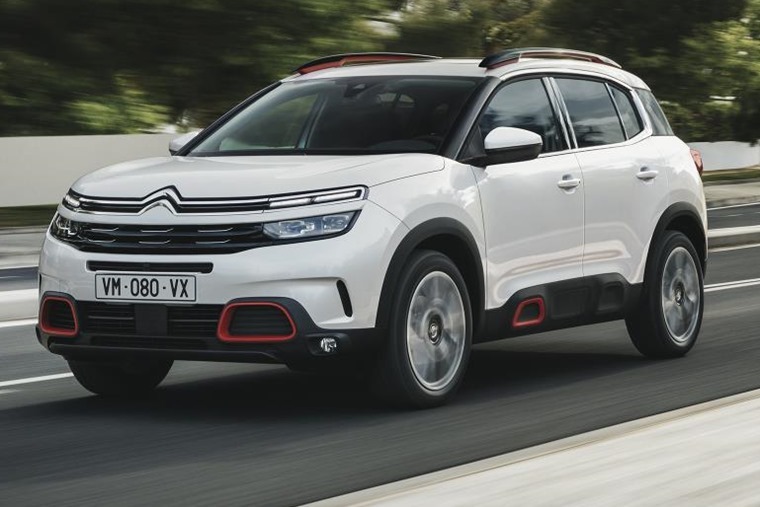 The Citroen C5 Aircross will be priced from £23,225 when order books open on 3 December. Deliveries are set to commence in February, and we’ll bring you lease rates as soon as they’re available. In the meantime, here’s what you need to know about Citroen’s new Qashqai rival. 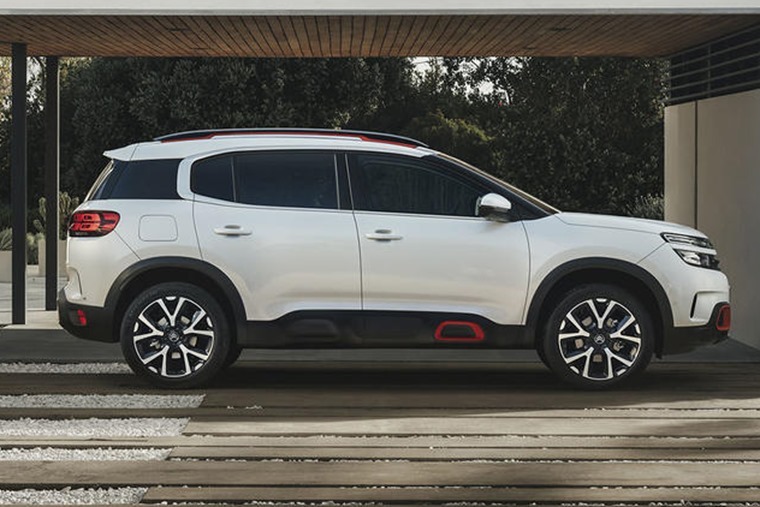 Externally, it’s certainly a more striking crossover than we’re used to, with the Citroen taking styling cues from other cars in the range such as the smaller C3 supermini and C3 Aircross crossover. 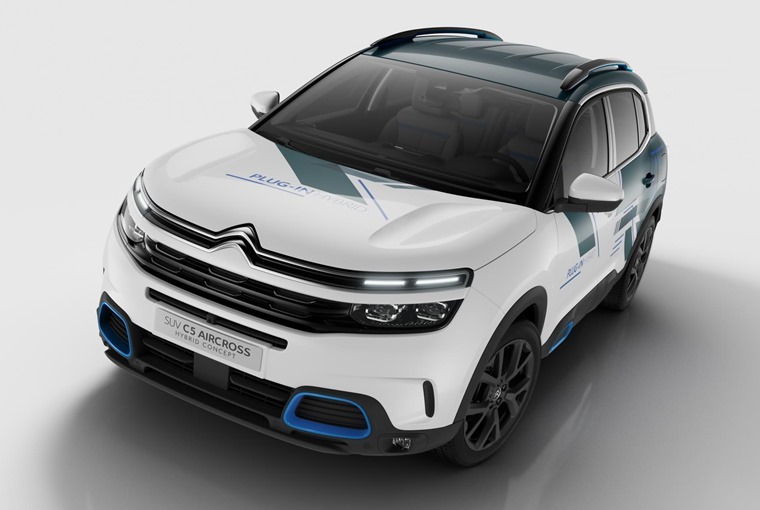 It’s very similar to the original concept car that was revealed way back in 2015, retaining the same futuristic front end that’s dominated by a huge grille that incorporates the a two-tier lighting arrangement and Citroen’s trademark double chevrons. On the side, it gets the same smaller Airbumps we’ve seen making an appearance on the French brand’s most recent models that are extenuated by chunky wheel arches on the C5 Aircross. 30 exterior colour combinations are available. Open the door and you’ll find some elements of the concept have been retained inside too. 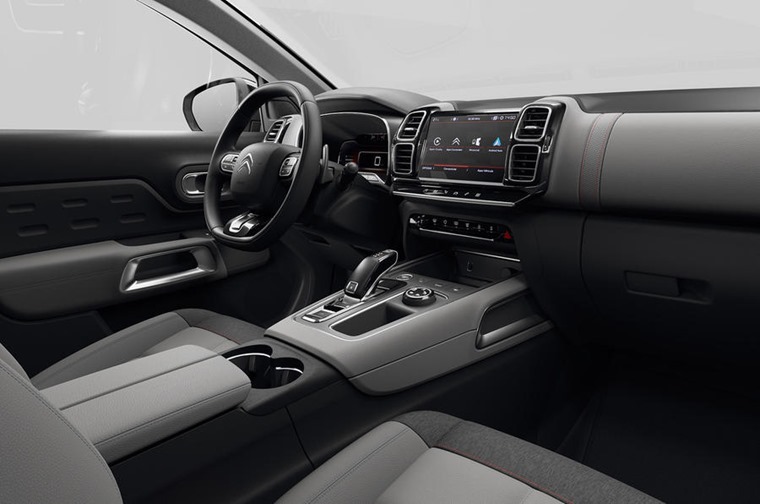 The dash is dominated by a large 8in touchscreen infotainment system, while a separate 12.3in monitor replaces traditional dials as the instrument cluster. Three trim levels are available: Feel, Flair and Flair Plus. The C5 Aircross gets 580 litres of boot space – significantly more than the Nissan Qashqai (430 litres) and puts it in contention for class leader when it comes to luggage capacity. 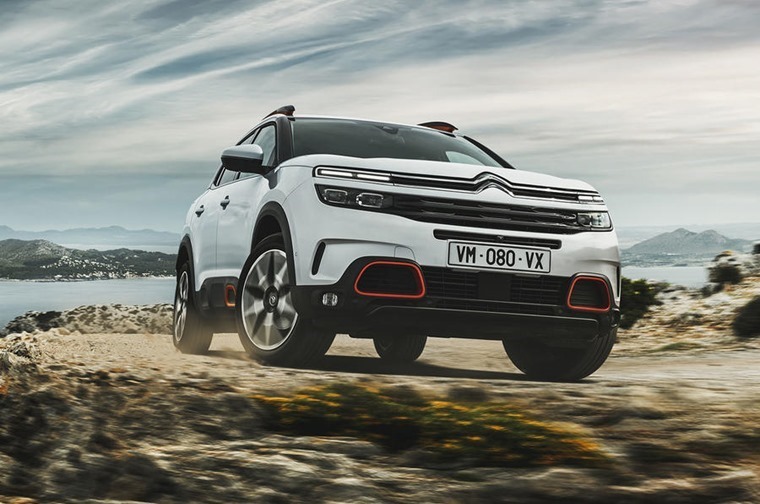 It’ll be the second car to benefit from Citroen’s new ‘Progressive Hydraulic Cushion’ suspension option too, following in the tracks of the updated C4 Cactus. 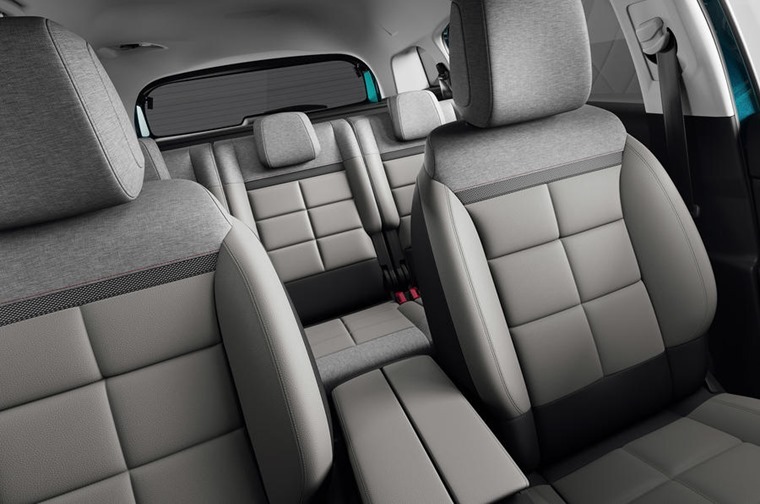 Advanced Comfort seats and double-glazed glass adds to refinement further. These are all signs that the company is once more putting a true emphasis on comfort, and should help it stand out a little in this hotly contested segment. The company’s self-driving tech is also available, allowing semi-autonomous driving under certain conditions by coordinating Active Cruise Control and Lane Keep Assist. The C5 Aircross will be available with Grip Control and Hill Descent Assist, too. From launch, two diesels and two petrols are on offer. The entry-level petrol is the 1.2-litre three-cylinder unit already seen in the Peugeot 3008 and DS 7. In the C5 Aircross it produces 128bhp. A 178bhp four-cylinder unit is the petrol alternative, and comes mated to an eight-speed automatic gearbox. The diesels are both four-cylinder units from PSA’s BlueHDi line and also produce 128bhp and 178bhp respectively. The least potent diesel can be fitted with an automatic as an option, while the larger engine gets the same eight-speed auto unit fitted to the more powerful petrol option. Total system power is rated at 222bhp, with up to 31 miles of range on battery power alone touted. CO2 emissions are claimed to be under 49g/km. Prices start from £23,225 for Feel trim, rising to £27,725 for range-topping Flair Plus models. We’ll bring you lease rates as soon as they’re available, but if you can’t wait, why not consider a Peugeot 3008 or DS 7 – both use the same platform as the upcoming Citroen and are available to lease right now.